Our solid wood Shaker bedroom furniture is sure to impress with its simple look. This Shaker Chest of Drawers will look great in the master bedroom. 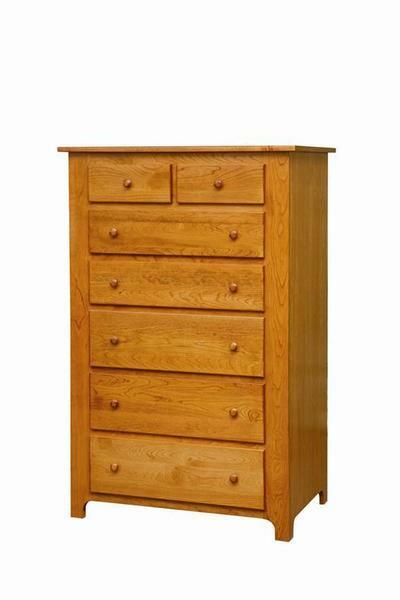 If you have questions on this Amish Chest of Drawers, the wood and finish choices or would like to place your order over the phone give us a call at 1-866-272-6773.